When Silver Airways became an independent entity 18 months ago, it knew it had to grow. And for the Fort Lauderdale-based airline to do so, that meant getting bigger in Jacksonville. The niche airline now offers 145 daily flights to 30 destinations — including to Pensacola and Birmingham, the only direct flights between them and Jacksonville. That’s good for the airline, but it’s also good for Jacksonville International Airport, which has seized on courting smaller airlines as a way to grow. 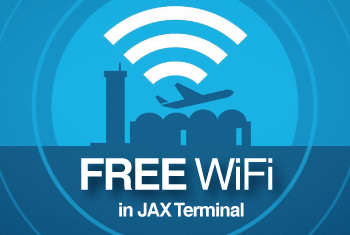 Adding such flights had made Jacksonville more attractive to business travelers, who don’t want to waste time waiting around for connections. And if the number of flights continues to increase, it could set the airport on a glide path to even greater success. If that works, it could be a game changer for the city, with airport connectivity a major factor in where companies decide to locate. As three of the nation’s four largest airlines — United Airways, American Airlines, Southwest Airlines Inc. and Delta Air Lines Inc. — picked up major competitors over the past decade, smaller airlines began seizing more market share. With the major carriers focusing on routing travelers through their major hubs — Atlanta, JFK, LAX — direct flights to cities like Jacksonville and Tampa were cut. That included Jacksonville, which as a medium-sized airport, Grossman said, lost 17 percent to 18 percent of its traffic. Small airlines filled that void, with Silver Airways, Allegiant Travel Co., Spirit Airlines, Frontier Airlines and, to some extent, JetBlue Airways Corp. providing a less frills, lower cost option that often is the only direct flight between two cities. As smaller airlines have come into the market, Jacksonville has seen its traffic grow, said Barbara Halverstadt, director of marketing for JAA. 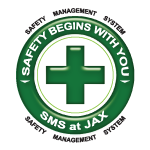 From May 2014 to May 2015, there was a 2.5 percent increase in the number of weekly departures from Jacksonville. “Looking forward to a June comparison, when the new Silver Airways flights to Birmingham begin, that number changes to a 3.4 percent increase in weekly flights,” she said, adding that the jump also reflects recently started services to Washington, D.C., Fort Lauderdale and Pensacola. The flights serve a variety of market segments. Allegiant offers flights for leisure travelers from the Midwest to Jacksonville, for example, while Silver tries to cater to the state’s business travelers, offering same-day flights between Jacksonville and Tallahassee, for example. From the carriers’ perspectives, Jacksonville is attractive because it offers a mix of travelers. Still, Jacksonville’s bread and butter is business travel, with 55 percent of travelers flying for business reasons. That’s a good thing for the airport. The airport has certainly made efforts to be attractive to those travelers: It’s clean, bright, easy to navigate, parking is affordable. It has also worked on being attractive to the airlines that serve it. Airlines select what airports to fly to based on profitability and passenger need. To convince them that there is that demand, Grossman and the JAA act as Jacksonville’s champions when it comes to marketing the city and the airport. Not only is the JAA going into one-on-one meetings with the airlines, but it’s also offering a marketing program that includes advertising space, billboards and even TV spots. As part of a carrier bringing its service to JAX, Halverstadt said the JAA provides complimentary promotion of its nonstop air service to the community about what travel options are available. Part of the marketing comes down not just to promoting the airport itself but also promoting what the airport can do for the carrier. Another aspect of marketing comes down to an airline incentive program, Halverstadt said, which includes fee credits to airlines for rents, usage and landing fees, in addition to the marketing assistance for new routes. Of course, Jacksonville’s aviation market can’t survive solely on small airlines. He added that the aviation authority likes to brag that from Jacksonville a traveler can get to just about any major city in the world in one stop. To lose the big airlines means the airport would lose that connectivity. For example, if Jacksonville lost its Delta flights to Atlanta, it would be doing its travelers a major disservice for connecting to the East Coast and the Midwest. Still, much of the new service from those small carriers, Grossman said, has come quite naturally. He said, for example, when Southwest pulled out of the Fort Lauderdale-to-Jacksonville route, both JetBlue and Silver announced service within a week. With that in mind, he said that, while the JAA is certainly trying to balance both big and small, the organization would continue seeking out the airlines that give it the most opportunities. The goal for all of it, Halverstadt said, comes down to getting as many flights as the area can support. The next step is making sure those flights take off. Allegiant — which took her more than three years to bring to the First Coast — is already looking at Jacksonville to add more flights if its first two, Cincinnati and Pittsburgh, are successful. And that could lead to even more growth.